Manager Mint Media Creates New Online Marketplace For People and Business Owners To Sell Products Risk Free With Zero Subscription Or Membership Fees. 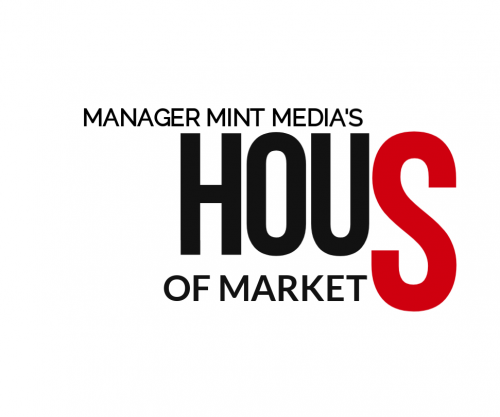 Hous of Markets was created by Manager Mint Media and is a multivendor platform where people and businesses alike can create free online shops to sell their merchandise, products, or services. From Business to Business Products to handmade, vendors can create or upload products into a wide variety of categories. With the slogan “A Marketplace For Everything,” Hous of Markets looks to help businesses and people increase their avenues to sell their products or services by offering premium services risk free. Their platform pays the vendor on dollar one and takes a small fee for the sale. This allows vendors to set up their shop without having to pay subscription, membership or listing fees and will only be charged after they sell an item. Vendors can signup for free via a simple registration form and gain instant access their own account. Once logged in, Vendors can upload products in a simple or complex form, whether they are virtual or downloadable products to physical items to be shipped to a customer, Hous of Markets has it all nicely packaged inside. Furthermore, Vendors can create products that are subscription or membership based from inside a Vendor’s Frontend Manager. To give a little more perspective on the amazing capabilities Hous of Markets has to offer, Vendors can do any of the following: Customize their store front, upload unlimited products, bundle products, add size charts, and add-ons, enable Live Chat direct to customers on the vendors specific page or products, manage orders and inventory, create and manage coupon promotions, allow customers to request quotes on products or services, enable SMS Text notification for both customers and the vendor for order updates, inventory and more, full reporting capabilities, order tracking, PDF Invoicing, Surveys for customers, Reviews for Discounts, ability for customers to add items to waitlists and much more. Hous of Markets differentiates themselves from the competition by paying out on dollar one every sale every day. They have created the ability to remove high dollar thresholds or monthly payouts to give the vendor sales every day. This is important to Hous of Markets with the philosophy of giving the vendor the money so they can keep their shop running. Hous of Markets was created to be virtually risk free by not charging vendors subscription, listing, or membership fees and only collects its small fee when an item is sold. Their competitors charge variable monthly fees, have high payouts or collect every time an item is listed. Hous of Markets believes that there shouldn’t be any hidden charges or large fees, especially for new shop owners where capital may be tight. To add to the amazing features and benefits already provided by Hous of Markets, Vendors or Customers can register as affiliates and earn 20% commission via items sold off the entire site using a custom created links specific to each affiliate. This way shop owners can also attempt to sell other shop owners products creating a win-win for the affiliate and the vendor. Manager Mint Media was founded by Shane Wieters in August of 2015 and has become a fast-growing media company that creates and curates a variety of content on over 40 top business, investing and entrepreneurial categories that specializes in helping businesses achieve Massive, Authoritative, and Effective Business Exposure through Advertising, PR, Marketing, and SEO. Manager Mint Media draws in thousands of viewers every day from over 136 countries around the world and is home to a vast global business directory housing over 126,000 business listings worldwide.